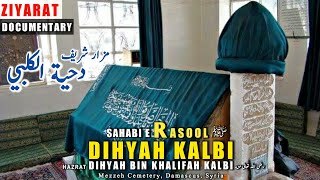 Dihya Al Kalbi RA – The Ambassador of Islam. In the prolog of the movie – The Message, we see three horsemen galloping in the vast solitude of the desert. Then, these three horsemen separate their routes, after greeting each other with “Salam”, they all ride into different directions. Their names are Dihya al-Kalbi RA, Abdullah bin Hudayfah RA and Hateep bin Abu Balta RA. They were of the Sahabah, Rasulullah ﷺcompanions and they were on a very holy mission. Rasulullah ﷺ knew he should invite all of mankind to Islam. Therefore, Rasulullah ﷺ discussed this issue with his Sahabah and they all decided to send letter to rulers and emperors of that era, a letter that declares the delivery of the final message of Allah and invitation to Islam. Among the Sahabah, some knew about the etiquettes of sending letters to emperors and since such rules would not accept letters without seal, Rasulullah ﷺ made himself a seal that imprinted “Muhammad Rasul Allah”, meaning Rasulullah ﷺ the messenger of Allah. The three horsemen set on their “expedition” from the city of Madinah and parted ways after a while. Abdullah bin Hudayfah turned east, he was heading to “Persian king, Kisra”. Hateep bin Abu Balta RA turned to west, his destination was “King of Egypt, Muqawqis”. The addressing of the three letters was different naturally, but the content was the same for all three, as the essence of this message is still binding and authoritative today, for the entire mankind: Simple and bare invitation to Islam. Muqawqis of Egypt treated Hateep bin Abu Balta RA kindly, sent some gifts to Rasulullahﷺ but turned down his invitation, probably thinking that such a gesture of sending gifts would be enough to establish a politically correct relationship with Arabs. Persian King Kisra was in vain, he thought “nomads of the Arabian desert” wouldn’t qualify to invite people to Allah’s message. Byzantium emperor Heraclius was really moved by the message when he heard about the Holy Quran, and some historians note that he seriously thought about converting to Islam but afraid of his public’s reaction. Onto west or onto east, doesn’t matter, the glorious and mysterious galloping of that three horsemen still echo today and all around the world, people receive invitation to Allah’s final message, some accept, some can’t win over their arrogance. The spirit of those three horsemen should be fuelling the dakwah of today’s Muslims. Now let us get to know one of them Dihya al-Kalbi RA. Prior to entering Islam, Dihya al-Kalbi RA had a special place in his heart for Rasulullahﷺ, presenting him with a gift each time he came to visit him. There is not enough information about the post hijrah life of Dihya al-Kalbi RA, who is originally from Southern Arabia and later made a home for himself around the region of Damascus as member of the Kalb tribe. What is known however is that he was among the young Muslims of the city of Madinah. Prior to entering Islam, Dihya al-Kalbi RA had a special place in his heart for Rasulullah ﷺ, presenting him with a gift each time he came to visit him. And each time Rasulullah ﷺ would say, “If you truly want me to be happy, and then enter Islam and save yourself from the fire,” calling him to Islam. Finally Dihya al-Kalbi RA arrived to see Rasulullah ﷺ after the Battle of Badar with thoughts of becoming a Muslim. In order to display his reverence to him, Rasulullah ﷺtook off his cloak, extending it to him in order for him to sit on it. And Dihya al-Kalbi RA kissed the cloak and placed it on his forehead. He then said his Shahadah and revealed that he was Muslim. From that point on, Dihya al-Kalbi RA remained by the Rasulullah ﷺ’s side during all important events, even being appointed as the commander of a unit. The most important event which would etch the name of Dihya into Islamic history would be his appointment as the invited ambassador of Rasulullah ﷺ. Following the signing of the Hudaibiyah Peace Treaty, Rasulullah ﷺ of Allah decided to send letters of invitation to Islam to all of the tribes on the Arabian Peninsula and neighboring nations. Later he asked, “Did Masih Isa pray?” and the emperor answered “yes.” “Then I call upon you to have belief in Allah, to whom Masih Isa prayed. In line with this initiative, Dihya al-Kalbi RA was given the duty of visiting Heraclius, the Byzantine Emperor. This responsibility was carried out in the 7th year of Hijrah, during the month of Muharram (May of 628). Dihya al-Kalbi RA’s main duty was to present a letter to the Busra Governor of the Byzantine Empire in order to be delivered to Heraclius. However, as the emperor happened to be in Palestine at the time, he seized the chance to personally stand before the leader. In sources of Sirah, it is indicated that Abu Sufyan, who happened to be in Gaza for trade, was also present during this meeting upon the request of the emperor. According to Muhammad Hamidullah, the original letter sent by Rasulullah ﷺ to Heraclius remains with us today. Following the signing of the Hudaibiyah Peace Treaty, Rasulullah ﷺ decided to send letters of invitation to Islam to all of the tribes on the Arabian Peninsula and neighboring nations. Heraclius believed that Rasulullah ﷺ was the righteous prophet; however, because he was afraid of the kingdom slipping out of his hands, he could not make himself profess his own belief. Heraclius believed that Rasulullah ﷺ was the righteous prophet; however, because he was afraid of the kingdom slipping out of his hands, he could not make himself profess his own belief. He expressed these sentiments in the following words: “May Allah grant you with what is good. May he bless you with his mercy. I know well that the person whose company you are coming from is a prophet who has been sent by Allah. In fact we were awaiting his arrival. We had found his name and attributes in our books. However, I am fearful of my life before the Romans. Dagatir, who was a great scholar, had learned that a final prophet would arrive from the books he had in his possession, and he had read about his attributes. As soon as he read the letter, he said, “I swear by Allah that your master is the prophet sent by Allah. We knew his name and his attributes,” and believed (in the message) without any hesitation. Following this conversation, the head patriarch retreated into his home and secluded himself there. Dihya al-Kalbi RA would make sure he wasn’t alone, and visited him frequently. That Sunday, the head patriarch didn’t partake in the service at the church. In the meantime, the people had heard about the transformation that the head patriarch had experienced. Fiery and bigoted Romans had surrounded his home, yelling with anger and asking for their patriarch to address them. However, Dagatir was no longer their clergymen. He had become a member of Rasulullah ﷺ’s Ummah and he was conducting perhaps one of his last talks and meetings with one of Rasulullah ﷺclosest companions, Dihya al-Kalbi RA Meanwhile, Dagatir wrote a letter to Rasulullahﷺ and entrusted it to Dihya al-Kalbi RA which said: “Take this letter and go to our master. Convey my greetings to him and inform him that I bear witness that there is no deity save Allah and that Rasulullah ﷺ is his Messenger. The people become angered by what they heard and headed towards him, attacking him and gruesomely trying to kill him. Then Dihya al-Kalbi RA returned to the king once again. He informed him of what had happened. The King said, “Had I not said to you that we fear for our lives before them? I swear that Dagatir was a more respected man before them than I am.” He sent Dihya al-Kalbi RA back after giving him many gifts. While returning to Madinah, Dihya al-Kalbi RA was attacked by looters while passing through the land of the Juzam tribe in the region of Hisma. The attackers took from him everything that he was carrying with him. Dihya al-Kalbi RA returned to Madinah empty handed. Dihya al-Kalbi RA quickly headed to face Rasulullahﷺ. Dihya al-Kalbi RA narrated everything that had transpired from beginning to end. Dihya al-Kalbi RA presented Rasulullah ﷺ with the letter from the Roman king. Rasulullah ﷺread the letter and then said the following: “He will remain on the throne for a while longer. As long as my letter remains with them, their kingdom will continue.” The King had also understood that the continuity of his kingdom was dependent upon his possession of the letter. He then wrapped the letter written by Rasulullah ﷺ in a silk cloth and hid it in a funnel. His will was that the letter be protected and hidden from those who succeeded him. And this was what indeed happened. When the letter was lost, so was the kingdom. The invitation delegation which Dihya al-Kalbi RA headed had been ransacked on their return route and it was one of the Muslims in the area that had run to the aid of Dihya al-Kalbi RA, helping retrieve his possessions. Upon returning to Madinah, when the situation had been explained to Rasulullah ﷺ, he dispatched a military unit under the command of Zayd bin Harith RA against the people of Juzam, seeking to punish those who had attacked his ambassador. 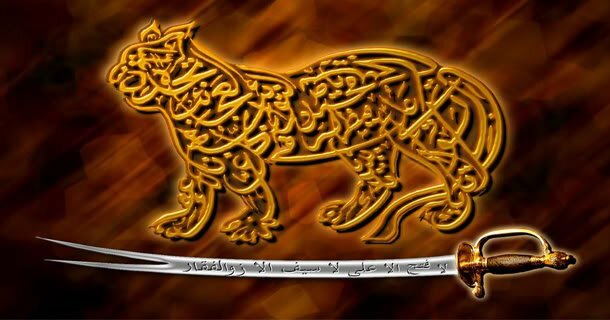 In books of Sirah, when mentioning the different methods of revelation, it is narrated that one of the ways in which the angel of revelation, Jibril AS would take on the persona of Dihya al-Kalbi RA and many of the companions of Rasulullahﷺ would believe that he was in Dihya al-Kalbi RA And one day, Jibril came to Masjid al-Nabawi in the personification of Dihya al-Kalbi RA to visit Rasulullah ﷺ. At that very moment in time, Hasan and Hussein RA who were both children at the time were playing in the masjid. They thought that Jibril AS was Dihya al-Kalbi RA and they began running towards him, putting their hands in his pockets in search of something. Rasulullah ﷺ said, “Oh my brother Jibril! Don’t think that my grandchildren are shameless. They thought that you were Dihya al-Kalbi RA. Whenever Dihya al-Kalbi RA came, he would bear gifts. And they would receive his gifts. He has gotten them used to this [practice].” There is not much recorded information about Dihya al-Kalbi RA’s life, prior to his conversion to Islam or after. However, sources indicate that he took part in an expedition to Syria and that he served as a commander in the Battle of Yarmuk, settling in the Mizza region of Damascus following the conquest of Syria, where he died. Sources do not allude to the date of his death; however, it is indicated that he lived until the era of Muawiyah. It is possible to ascertain from this that he died around the year 50 Hijrah (670 A.D.) in the city of Damascus. That Rasulullah ﷺ said: There appeared before me the apostles, and Moses was among men as if he was one of the people of Shanu’a, and I saw Jesus son of Mary (peace be upon him) and I saw nearest in resemblance with him was ‘Urwa b. Ma’sud, and I saw Ibrahim AS and I see your companions much in resemblance with him, i. e. his personality, and I saw Gabriel AS and I saw Dihya nearest in resemblance to him; but in the narration of Ibn Rumh it is Dihya b. Khalifah Al Kalbi. Amongst the captives was Safiya. First she was given to Dihya Al-Kalbi RA and then to Rasulullahﷺ. Rasulullah ﷺ offered the Fajr prayer when it was still dark, then he rode and said, ‘Allah Akbar! Khaibar is ruined. When we approach near to a nation, the most unfortunate is the morning of those who have been warned.” The people came out into the streets saying, “Muhammad and his army.” Rasulullah ﷺ vanquished them by force and their warriors were killed; the children and women were taken as captives. Safiya was taken by Dihya Al-Kalbi RA and later she belonged to Rasulullahﷺ who married her and her Mahr was her manumission. Abu Sufyan bin Harb informed me that Heraclius had sent a messenger to him while he had been accompanying a caravan from Quraish. They were merchants doing business in Sham (Syria, Palestine, Lebanon and Jordan), at the time when Allah’s Apostle had truce with Abu Sufyan and Quraish infidels. 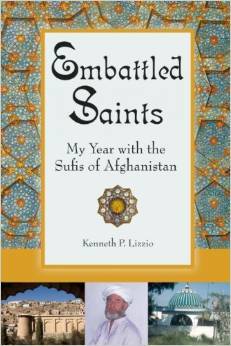 So Abu Sufyan and his companions went to Heraclius at Ilya (Jerusalem). Heraclius called them in the court and he had All the senior Roman dignitaries around him. He called for his translator who, translating Heraclius’s question said to them, “Who amongst you is closely related to that man who claims to be a Prophet?” Abu Sufyan replied, “I am the nearest relative to him (amongst the group). “Heraclius said, “Bring him (Abu Sufyan) close to me and make his companions stand behind him.” Abu Sufyan added, Heraclius told his translator to tell my companions that he wanted to put some questions to me regarding that man (The Prophet) and that if I told a lie they (my companions) should contradict me.” Abu Sufyan added, “By Allah! Had I not been afraid of my companions labeling me a liar, I would not have spoken the truth about the Prophet. The first question he asked me about him was: ‘What is his family status amongst you?’ I replied, ‘He belongs to a good (noble) family amongst us.’ Heraclius further asked, ‘Has anybody amongst you ever claimed the same (i.e. to be a Prophet) before him?’ I replied, ‘No.’ He said, ‘Was anybody amongst his ancestors a king?’ I replied, ‘No.’ Heraclius asked, ‘Do the nobles or the poor follow him?’ I replied, ‘It is the poor who follow him. Heraclius said, ‘What does he order you to do?’ I said, ‘He tells us to worship Allah and Allah Alone and not to worship anything Along with Him, and to renounce All that our ancestors had said. He orders us to pray, to speak the truth, to be chaste and to keep good relations with our Kith and kin.’ Heraclius asked the translator to convey to me the following, I asked you about his family and your reply was that he belonged to a very noble family. In fact All the Apostles come from noble families amongst their respective peoples. I questioned you whether anybody else amongst you claimed such a thing, your reply was in the negative. If the answer had been in the affirmative, I would have thought that this man was following the previous man’s statement. Then I asked you whether anyone of his ancestors was a king. Your reply was in the negative, and if it had been in the affirmative, I would have thought that this man wanted to take back his ancestral kingdom. I further asked whether he was ever accused of telling lies before he said what he said, and your reply was in the negative. So I wondered how a person who does not tell a lie about others could ever tell a lie about Allah. I, then asked you whether the rich people followed him or the poor. You replied that it was the poor who followed him. And in fact the entire Apostle has been followed by this very class of people. Then I asked you whether his followers were increasing or decreasing. You replied that they were increasing, and in fact this is the way of true faith, till it is complete in All respects. I further asked you whether there was anybody, who, after embracing his religion, became displeased and discarded his religion. Your reply was in the negative, and in fact this is (the sign of) true faith, when its delight enters the hearts and mixes with them completely. I asked you whether he had ever betrayed. You replied in the negative and likewise the Apostles never betray. Then I asked you what he ordered you to do. You replied that he ordered you to worship Allah and Allah Alone and not to worship anything Along with Him and forbade you to worship idols and ordered you to pray, to speak the truth and to be chaste. If what you have said is true, he will very soon occupy this place underneath my feet and I knew it (from the scriptures) that he was going to appear but I did not know that he would be from you, and if I could reach him definitely, I would go immediately to meet him and if I were with him, I would certainly wash his feet.’ Heraclius then asked for the letter addressed by Allah’s Apostle which was delivered by Dihya to the Governor of Busra, who forwarded it to Heraclius to read. The contents of the letter were as follows: “In the name of Allah the Beneficent, the Merciful (This letter is) from Muhammad the slave of Allah and His Apostle to Heraclius the ruler of Byzantine. Peace be upon him, who follows the right path. Furthermore I invite you to Islam, and if you become a Muslim you will be safe, and Allah will double your reward, and if you reject this invitation of Islam you will be committing a sin by misguiding your Arisiyin (peasants). (And I recite to you Allah’s Statement:) ‘O people of the scripture! Come to a word common to you and us that we worship none but Allah and that we associate nothing in worship with Him, and that none of us shAll take others as Lords beside Allah. Then, if they turn away, say: Bear witness that we are Muslims (those who have surrendered to Allah).’ (3:64). Abu Sufyan then added, “When Heraclius had finished his speech and had read the letter, there was a great hue and cry in the RoyAl Court. So we were turned out of the court. I told my companions that the question of Ibn-Abi-Kabsha) (the Prophet Muhammad) has become so prominent that even the King of Bani Al-Asfar (Byzantine) is afraid of him. Then I started to become sure that he (the Prophet) would be the conqueror in the near future till I embraced Islam (i.e. Allah guided me to it).” The sub narrator adds, “Ibn An-Natur was the Governor of llya’ (Jerusalem) and Heraclius was the head of the Christians of Sham. Ibn An-Natur narrates that once while Heraclius was visiting ilya’ (Jerusalem), he got up in the morning with a sad mood. Some of his priests asked him why he was in that mood? Heraclius was a foreteller and an astrologer. He replied, ‘At night when I looked at the stars, I saw that the leader of those who practice circumcision had appeared (become the conqueror). Who are they who practice circumcision?’ The people replied, ‘Except the Jews nobody practices circumcision, so you should not be afraid of them (Jews). ‘Just Issue orders to kill every Jew present in the country.’ While they were discussing it, a messenger sent by the king of Ghassan to convey the news of Allah’s Apostle to Heraclius was brought in. Having heard the news, he (Heraclius) ordered the people to go and see whether the messenger of Ghassan was circumcised. The people, after seeing him, told Heraclius that he was circumcised. Heraclius then asked him about the Arabs. The messenger replied, ‘Arabs Also practice circumcision.’ (After hearing that) Heraclius remarked that sovereignty of the ‘Arabs had appeared. Heraclius then wrote a letter to his friend in Rome who was as good as Heraclius in knowledge. Heraclius then left for Homs. (a town in Syrian and stayed there till he received the reply of his letter from his friend who agreed with him in his opinion about the emergence of the Prophet and the fact that he was a Prophet. On that, Heraclius invited All the heads of the Byzantines to assemble in his palace at Homs. When they assembled, he ordered that All the doors of his palace be closed. Then he came out and said, ‘O Byzantines! If success is your desire and if you seek right guidance and want your empire to remain then give a pledge of Allegiance to this Prophet (i.e. embrace Islam).’ (On hearing the views of Heraclius) the people ran towards the gates of the palace like onagers but found the doors closed. Heraclius realized their hatred towards Islam and when he lost the hope of their embracing Islam, he ordered that they should be brought back in audience. (When they returned) he said, ‘What Already said was just to test the strength of your conviction and I have seen it.’ The people prostrated before him and became pleased with him, and this was the end of Heraclius’s story (in connection with his faith).